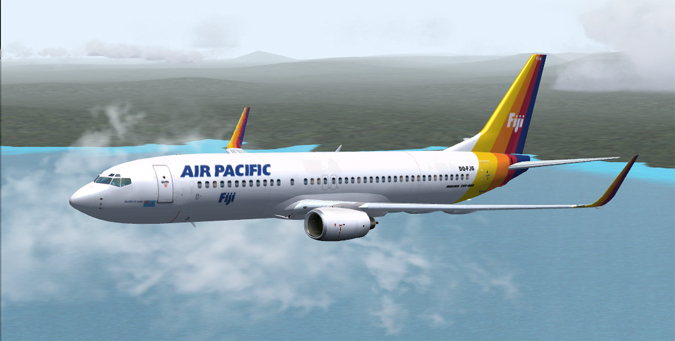 Air Pacific is the national airline of the Fiji Islands and flies out of Nadi to Apia, Auckland, Brisbane, Christchurch, Honiara, Honolulu, Los Angeles, Melbourne, Nuku'a Lofa, Papeete, Port Villa, Sydney, Tokyo, Toronto, Vancouver and Wellington. Air Pacific's fleet consists of 2-Boeing 747-400's, 1-Boeing 767-300ER, 1-Boeing 737-700 and 2-Boeing 737-800's. Nadi Int'l. (NFFN) 0900 Solomon Is.